Students admitted to the licensed practical nurse stand-alone program typically complete on year of course work and take the NCLEX-PN exam. Students typically receive a certificate of completion at the end of the program. Nurses who complete a LPN program provide individualized care to patients in a variety of settings under the supervision of a registered nurse, advanced practice nurse, physician or dentist. An Associate’s Degree in Nursing (ADN) is a degree available from community colleges and usually requires two years of coursework, after completing any necessary pre-requisites. The focus of ADN nursing programs is direct patient care in a variety of settings. Nurses who graduate with an ADN may take the NCLEX exam to become a Registered Nurse (RN). A Bachelor of Science in Nursing (BSN) is a four-year college degree in nursing. In addition to direct patient care nursing, BSN coursework includes family and community nursing, leadership and management, and research. The BSN graduate must take the NCLEX exam to become a Registered Nurse (RN). A BSN is required if you are interested in nursing in the military, leadership and management, public health nursing, school nursing or forensic nursing. A BSN is also required if you want to go to graduate school to become a nurse practitioner, a clinical nurse specialist, a nurse anesthetist, a nurse midwife or a nurse educator. This program is specific for RNs with an Associate’s degree who are looking to complete their Bachelor of Science in Nursing. Programs typically take one year of full-time study. The accelerated BSN nursing program can be completed in 12-18 months and is designed for students with a previous baccalaureate degree. A Master’s in Nursing (MSN or MN) is a graduate degree in nursing. There are a variety of graduate programs and specialties that award a master’s degree in nursing. Except for some specialized programs, you must have a BSN to get a master’s in nursing. Master’s degree programs prepare nurses to work as nurse practitioners, clinical nurse specialists, nurse educators, nurse midwives, and nurse anesthetists and nurse administrators. Alternate Entry Master’s (AEM) programs are also referred to as direct-entry or master’s entry programs. These programs are designed for individuals with previous undergraduate degrees in fields other than nursing. Alternate entry master’s programs typically take from 28-36 months to complete and result in a Master’s degree in Nursing (MSN, MN). Nurses who graduate from alternate entry master’s programs are prepared for teaching, research and specialty nursing roles such as a certified nurse midwife or nurse practitioner. The PhD program prepares nurses to conduct nursing research. Nurses prepared with a PhD conduct research programs in health care facilities as well as universities and organizations. Nurses prepared with a PhD may serve as health policy analysts, nurse executives or nurse educators. To earn a PhD in nursing, you must be prepared at the baccalaureate or master’s level. The DNP program prepares advanced practice nurses at a doctoral level. It is a clinical doctorate. The curriculum for the DNP degree generally includes advanced practice, leadership, and application of clinical research related to nursing. Nurses prepared with a DNP may serve as advanced practice nurses, as health care leaders or executive as well as nurse educators. To earn a DNP in nursing, you must be prepared at the baccalaureate or master’s level. When you know what you’d like to do, and the education you need, you should start looking at available schools.  Complete lists of approved nursing programs are maintained by the Oregon and Washington State Board of Nursing (see links and buttons below). Programs should always be contacted directly for the most accurate and up-to-date information about their current offerings and admissions process. Check out our interactive map of Oregon’s nursing programs by clicking the button below.